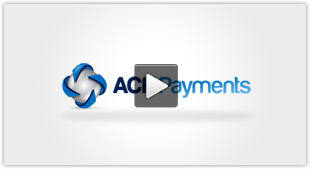 Recurring ACH Payment Processing offer businesses reliable, costs effective cash flow. But many businesses struggle in getting their customers to actually opt for for automated ACH Payments. NACHA rules mandate the customer must agree to automated bank account debits so getting that consumer on board is key. 1) Every time you interact with a customer whether they are paying a bill, signing up for service or calling for support let them know about the convenience of an automated payment plan or check by phone. There must be a concerted ongoing effort from all team members. EVERY interaction is a chance to save $80/year. The data about who is/is not on AutoPay has to be at everyone’s fingertips. Whether that is via a software/Internet CRM or on an Excel sheet is not important [although automated follow up (auto-responder like AWeber) with CRM system would be nice]. Consider rewarding conversions-remember these can be worth $80/year. If you average client stays with you for 30 [Lifetime value] months you are looking at $200 in savings. If you get someone good at this process have them document what they do and let others model. Make it a contest with the most converts awarded a gift card etc. 3) Make your web site a billboard for your automated billing plan. Include sign up forms and directions. Educate your customer Your payment processing partner may randomly perform compliance audits. 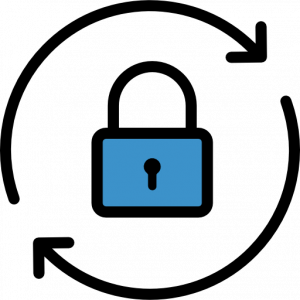 Depending on your software provider or internal technical abilities it may be possible to automate the entire process and have ACH or credit card data pushed into the software. 4) Start an incentive campaign for automated payment sign up. Consider giving away free certificates (see step 6) or possibly offer 5-10% off their next 3 months billing or some other motivational offer. Consider partnering with a local business and offer cross promotional coupons for 10% off products in return for program sign up. An example might be a restaurant/plumber/HVAC. 5) Telemarket your customers and let them know about the program and advantages of signing up. You can use internal staff or hire a telemarketing firm to call for you. For a couple of hundred dollars you may be able to up your participation rate dramatically. This can be used for MULTIPLE purposes. In-home estimates? Offer reward. How about referrals? Current client refers and gets certificates. Renewals? Anniversary-one year client appreciation. How about surprising new client with $25 restaurant certificate? Very nice way to create a wow moment. 7) Consider implementing an Auto Pay only option for new customers. You can give them a choice of paying automatically via check or credit card. Stress all benefits [#13]. appreciate nothing and want to pay next to nothing. They are simply not worth the money and aggravation. Focus on attracting “ideal” clients. People you want to work with and love helping. Those that balk at paying automatically are likely slow payers or “problem” customers. Fire em. You will replace with ideal clients. 8) Consider posting posters with testimonials from current Autopay users bragging on the benefits of not having to remember to write a check each month. Put these on your website and any brochures/customer correspondence. 9) Offer a raffle for 3 months free service to the winner or $100 cash card etc. You only get a ticket if you are a current AutoPay user or you switch over. 11) REWARD your employees that recruit clients to AutoPay. $25 gift card, restaurant certificate, an hour off work? Be creative. This is a GREAT way to offer your team a shot at extra money. You may even uncover a natural salesperson you have working for you. 12) Tout the benefits: 1-The environment: no more paper invoices/reminder letters/paper checks/bank trips etc etc. 2-You want to focus on providing the best level of service possible. The less time you spend on admin stuff the more you focus on customer needs. Especially for non-profits the net benefit to the charity/church etc should be stressed. 13) Charge an admin fee [eg an extra $5/month] for NOT using AutoPay. Hit people in the wallet. 14) POS sign up: If you are in a client’s home and can close your sale pre-sell them on Autopay and present it as the best option [use our education piece that details how electronic payments are MUCH safer than paper checks or mailing in payments. So get to work implementing Recurring ACH Processing in your business. A concerted effort by your whole team can yield massive results that make you a more profitable, efficient, process driven, valuable business!